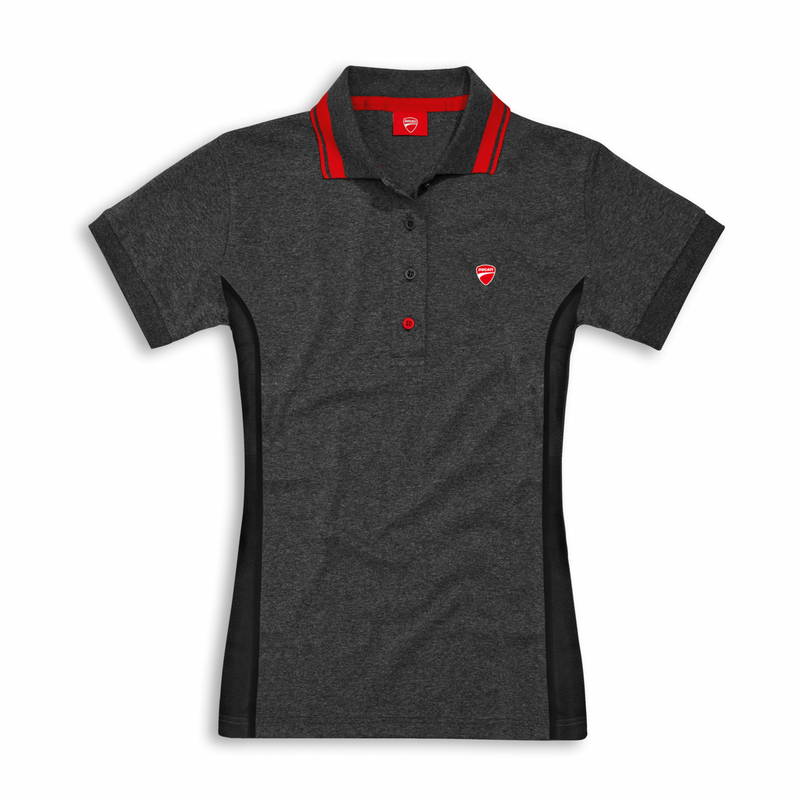 This polo, in a cotton mix, is a lightweight and soft garment perfect for everyday wear. 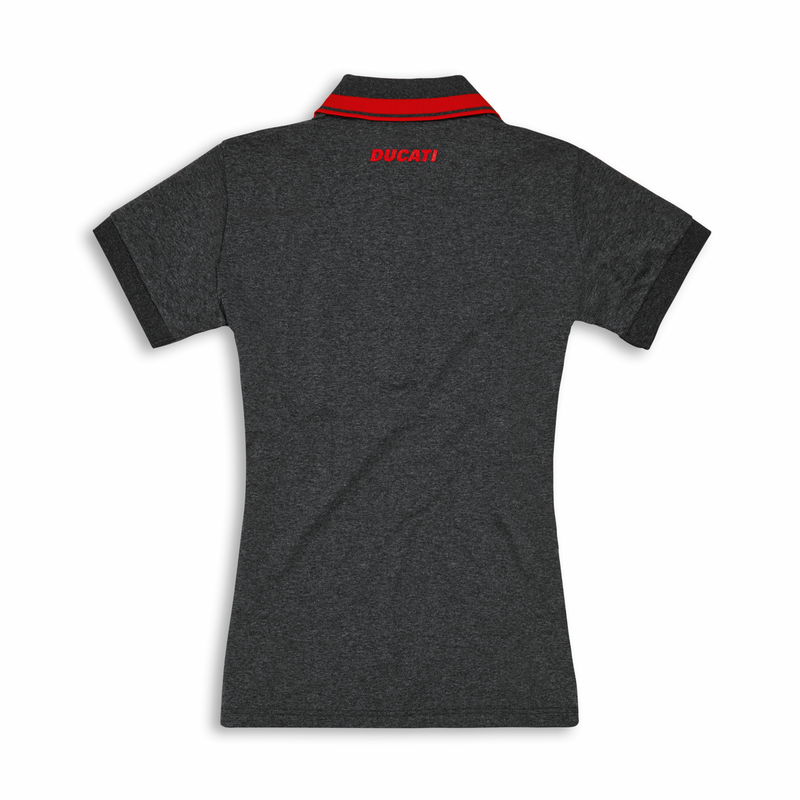 The red of the Ducati branding stands out on the anthracite grey, giving identity to the piece. 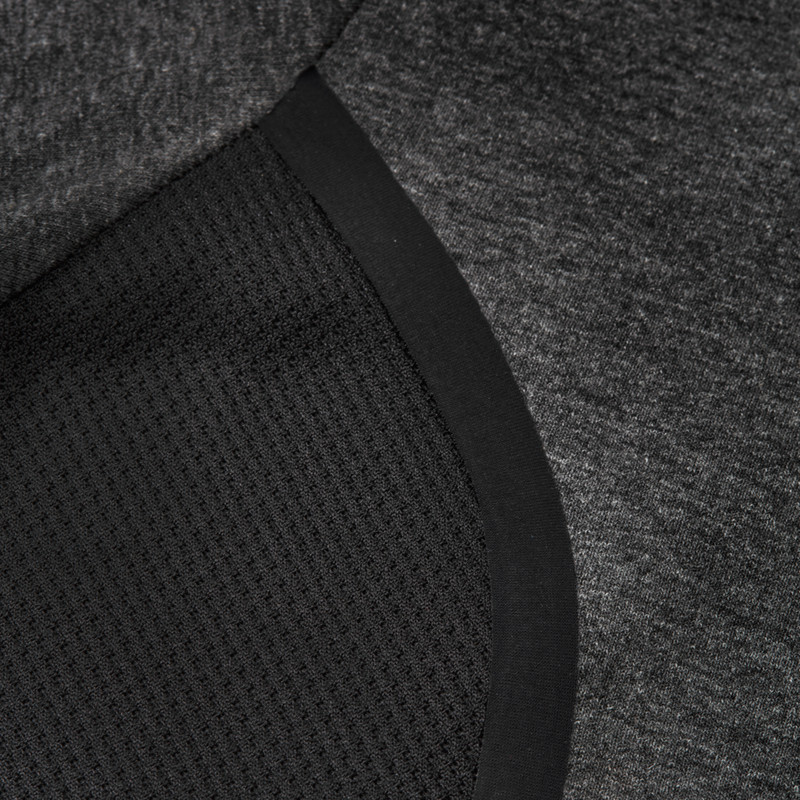 On the sides, a black perforated insert creates a two-fold contrast of material and colour. It is enhanced by the red/grey collar and ribbed cuffs. Also available as a men's version. Material: 50% cotton, 50% polyester.